This guest blog entry is by Ryan Rivera, the founder Calm Clinic. Please note that the opinions presented in the article are that of the author and not necessarily the opinions of RHN. RHN chooses to publish articles and share individual sites to evoke discussion and show all options, ideas and beliefs. Sweaty palms, tightness in your chest, heart palpitations, escalating fear, a lump in your throat, the feeling that you might lose control or pass out—these are just a few of the terrifying and uncomfortable symptoms of anxiety. Who in the world would invite these frightening feelings and sensations? No one! But, did you know that some of the common practices that are a part of your daily routine could actually be fueling the fire of your anxiety? Consider the following seemingly harmless habits that could actually be worsening your anxiety symptoms. Most of us enjoy a nice hot cup of coffee in the morning. Some of us simply cannot start our day without it. Certainly, we are aware that the beverage contains caffeine, and in fact, that’s the primary reason many of us drink it to begin with—that and the tantalizing aroma, of course. What you may not have known is that for anxiety sufferers, even small amounts of caffeine can significantly worsen the symptoms of anxiety. 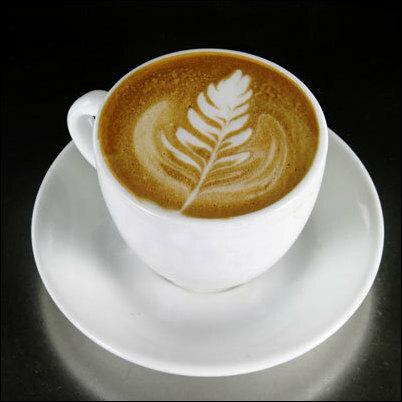 Since caffeine is a stimulant, it heightens our alertness and revs us up. This can be a good thing for some people—those who are naturally calm and need to be stimulated a bit just to get going. For anxiety sufferers, however, not only is caffeine unnecessary, it’s potentially harmful. As you well know, anxiety alone makes you feel as alert and revved up as you can possibly be—no need to make this condition worse with coffee, or any other caffeinated beverage for that matter. Many anxiety sufferers are also workaholics. Does the thought of missing a deadline or falling behind on a project make your heart begin to pound? I can relate. Neglecting breaks, however, can actually increase your anxiety and make you less productive. Instead of working through your lunch break, try taking a few minutes to simply sit back, close your eyes, and take deep cleansing breaths. Or, perhaps a nice brisk walk outside sounds more your speed. Whatever you decide to do, be sure to devote a small amount of time throughout the day to clearing your head and separating yourself from your workload and responsibilities. One of the primary traits of anxiety sufferers is the inability to accept uncertainty. We simply can’t leave a problem unsolved. The trouble with this is that not all problems can be solved immediately, and for some, there are simply no good or viable solutions. If you continuously fill your head with endless cycles of possible solutions and potential scenarios, then your anxiety will persist. Sometimes, the very best thing you can do is to allow the problem to exist, accept that you do not currently have the answer, and direct your thoughts elsewhere for a period of time. If and when you return to the problem, you will be refreshed and better able to think through it clearly. Logging into your email account at the end of the day is a very common habit for anxiety sufferers as well as for the general population, but it’s not a good idea. The chances that you will receive at least one email that is distressing, problem-oriented, demanding, or simply intriguing are fairly good if not absolutely certain. The problem with this is that once the content of the email invades your thoughts, it will likely follow you to bed and affect your sleep, and as anyone who experiences anxiety on a regular basis knows, the less rested you are, the worse your anxiety is likely to be the next day. Anxiety sufferers are often people-pleasers. The thought of someone being dissatisfied or unhappy with us makes our blood pressure rise, so we tend to try to please everyone around us. Of course, the obvious problem with this endeavor is that it is an impossible, and therefore, futile one. Moreover, it completely consumes our energy, leaving us feeling depleted and with no time for ourselves. If you can accept that there will inevitably be instances when you disappoint or displease someone and then balance your time between doing things for others and caring for yourself, then you will likely see a significant decrease in your anxiety symptoms. People who are prone to anxiety often try to predict the future in order to avoid potential disasters. Our thinking is that if we can predict negative events, we can take action to either prevent them, or at the very least, minimize their effects. Unfortunately, this strategy is actually counterproductive. By insisting on seeing the worst possible outcome of any given scenario, we are actually making it more likely to happen. Don’t believe me? Have you ever spent weeks thinking about an upcoming event—meeting, interview, wedding, social occasion, etc.—got yourself all worked up about it, and as a result were a complete and total nervous wreck when the day finally arrived? Case in point. Bad carbs such as potato chips, French fries, and any other foods containing white flour or refined sugar can cause fluctuations in blood sugar that affect mood, and thus have the potential to heighten anxiety. Eating three nutritious meals a day rich in whole grains, protein, and vegetables can maintain healthy levels of glucose in the brain and prevent anxiety spikes. Although resting and taking naps seem like a good idea if you’re looking to calm yourself, it may actually be interfering with your recovery efforts. Although naps in and of themselves aren’t bad, long ones—particularly those lasting more than an hour—can interfere with your sleep at night and leave you feeling tired and more prone to anxiety the next day, not to mention another long nap. Everyone knows that procrastinating is a bad habit, but few realize the extent to which it fuels anxiety. If you put off a project every now and then, it may not have a significant effect, but if procrastination becomes a lifestyle for you, then you’re building a perpetual cycle of avoidance and anxiety. Do yourself a favor and tackle obstacles as they come so that they don’t leave a trail of unnecessary worry and stress. Sometimes managing anxiety requires a lifestyle change. If you think you’ve tried everything to subdue your anxiety and you still find yourself in a constant state of worry and nervousness, examine your daily routine and identify any “harmless” habits or defense mechanisms that might actually be causing more anxiety rather than helping you cope with it. About the Author: Ryan Rivera writes about anxiety, <a href=’ http://www.calmclinic.com/anxiety/symptoms’>anxiety symptoms</a> and related issues on his <a href=’http://www.calmclinic.com’>www.calmclinic.com</a> website.